There’s an open plan dining area that leads through to the lounge and wrap around deck. The spacious sunny backyard offers a wonderful space for entertaining. At the back of the property is a separate office dwelling with bathroom and large rumpus area, this gives you another area to create the perfect work from home situation. 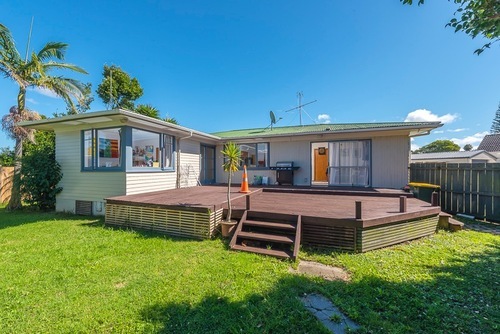 Located in a peaceful neighbourhood central to all amenities and close to Pakuranga Plaza as well as the domain, everything is within walking distance including schools and shopping facilities, also easy access to Botany Town Centre. The present owners have relished this spacious property but circumstances have changed allowing you the opportunity to purchase this excellent home and income potential property. Contact Jess or Hamish to arrange a viewing or to further discuss this opportunity. Set Date of sale 4pm 1st May 2019 (unless sold prior).